HP 953XL Black x 1 (2000 pages). HP 953XL Cyan x 1 (1600 pages). HP 953XL Magenta x 1 (1600 Pages). HP 953XL Yellow x 1 (1600 Pages). Officejet: Pro- 7720, 7730, 7740, 8210, 8218, 8710, 8715, 8716,8718, 8720, 8725, 8728, 8730, 8740. Remanufactured 337 Black 343 Colour Ink Cartridge Combo Fit Hp Photosmart C4180. 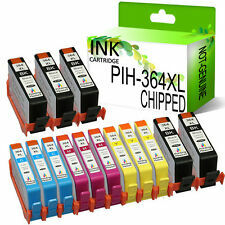 (Officejet Pro 8100 8600 8600 Plus 8610 8620 8630 8640 8660 8625 8615 251dw 276dw. - Replaces: HP 950XLBK 951XLC 951XLM 951XLY (WITH CHIP). This is for a compatible product NOT an O.E.M product.). It`ll just take you 1 minute. 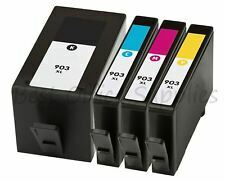 Remanufactured 338 Black 343 Colour Ink Cartridges Combo Fit HP Photosmart C3180. 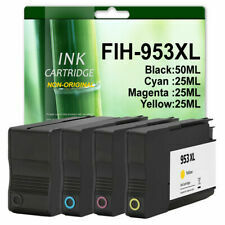 Remanufactured 301XL Black & Colour Ink Cartridge Combo fits HP Envy 5532 AIO. Remanufactured 304 XL Colour Ink Cartridge Combo fit HP Deskjet 2600 All-In-One. Compatible with HP printer model:- Officejet:- 6000, 6000 wireless, 6500 all in one, 6500 wireless, 6500Ae all in one, 6500A Plus e all in one, 7000 wide format, 7000A wide format. 7500 Wide Format, 7500 Wide Format. 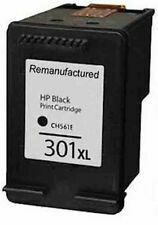 Remanufactured 350 Black & 351XL Colour Ink Cartridge fits HP Photosmart C5280. 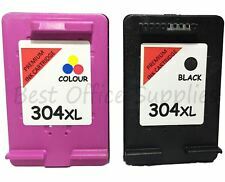 303 XL Black and Colour Remanufactured Ink Cartridges For HP Envy Photo Printers. (Replaces: HP 970XLBK 971XLC 971XL M 971XL Y. Officejet Pro X451dn X451dw X476dn X476dw X551dw X576dw. 1 x 971XL Magenta. 1 x 971XL Yellow. This is for a compatible product NOT an O.E.M product.). COMPATIBLE PRINTER MODELS. 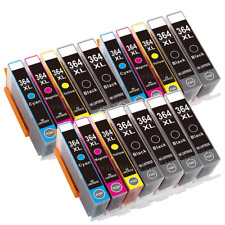 4 HP 950XL Black 951XL Cyan, Magenta, Yellow [Non Genuine]. 950XL - CN045AE High Capacity (2300 Pages, 60ml) Black. 951XL - CN046AE High Capacity (1500 Pages, 20ml) Cyan. 951XL - CN047AE High Capacity (1500 Pages, 20ml) Magenta. Officejet Pro 6950 All-in-One 6960 All-in-One 6970 All-in-One 6975 All-in-One Printers. Remanufactured or refilled. HP Envy 100 110 114 120. Instructions Guide. 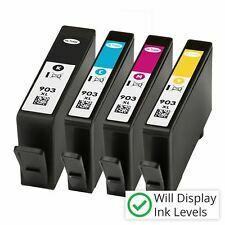 303 XL Colour Remanufactured Ink Cartridge For HP Envy Photo 6230 Printers. 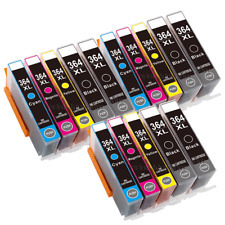 302 XL Colour Remanufactured Ink Cartridges For HP Officejet 3835 Printers.